Were You Charged With Intoxicated Driving? DUI charges can result in serious consequences, including time in jail, significant fines and penalties and a suspended license. It is vital to act quickly after an arrest to protect your rights and your future. At Yeretsian Law, we will diligently explore all options to minimize and prevent the consequences of DUI arrest and conviction. Attorney Lara Yeretsian has over 20 years of experience defending individuals charged with DUIs in California. We represent individuals in Glendale, Burbank, Pasadena, San Fernando Valley, Sherman Oaks, Beverly Hills, West Hollywood and throughout Los Angeles in all DUI cases, including felony charges. We will guide you through the criminal and DMV processes after an arrest. We will advocate for your interests and try to preserve your driving privileges. In addition to defending you in your criminal case, we will also help you with your DMV hearing and all related court appearances. As your lawyer, Lara will be by your side every step of the way. Our goal is to resolve your case so you can move forward with your life. This means we will tailor our defense to your specific situation, and we will work hard to find a solution that protects your future. A DUI conviction can damage your reputation, your finances and your ability to live your life. We have the skills, knowledge and compassion to handle all aspects of your case to ensure you receive the best possible outcome. Let us guide you through your case. We will be there every step of the way to ensure all your questions are answered and your concerns are addressed. Arrested for a DUI? 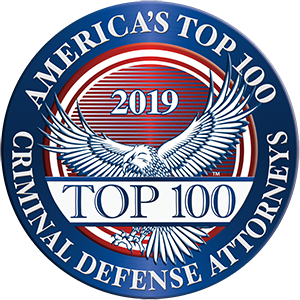 Call us at 888-402-1050 right away to start defending you. The sooner you call, the stronger your defense will be as some evidence may not be available with time. You can also fill out our online contact form. We speak Spanish, Arabic and Armenian.